Nexleaf works with people on the ground to develop technology solutions that solve major gaps in global health, clean energy, and the environment. 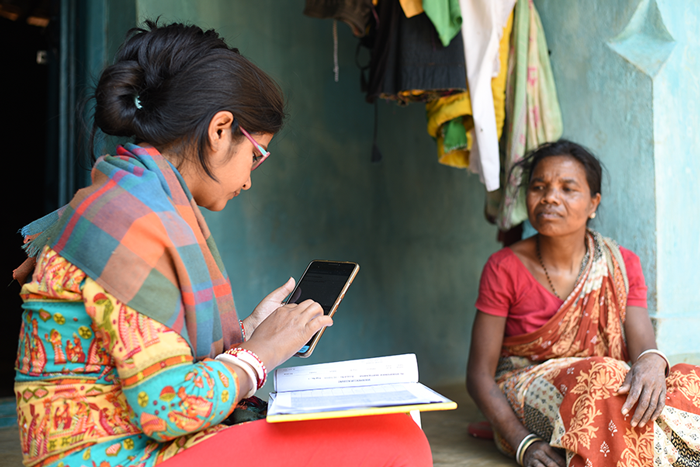 We help healthcare workers, mothers, farmers, and governments take action in real-time and empower them with data. Your gift to Nexleaf helps our programs grow and supports new innovation. With your support, we can help create a healthier future for people and our planet. Is a donation to Nexleaf tax exempt? Yes, Nexleaf Analytics is a 501(c)(3) nonprofit organization with the Tax ID 90-0514027. Where can I send a contribution by check? Please remit donations by check to “Nexleaf Analytics” and mail to our headquarters at 1964 Westwood Blvd, Suite #410, Los Angeles, CA 90025. Is Nexleaf on Amazon Smile? Yes, you can help Nexleaf by using our unique Amazon Smile link. When you sign up and shop with AmazonSmile, Amazon will donate half a percent of the price of all eligible purchases to Nexleaf. Does Nexleaf accept donations via a donor advised fund (DAF)? Yes, DAF Direct enables you to recommend grants to this nonprofit directly from your DAF (as long as your DAF’s sponsoring organization is participating). Does Nexleaf accept gifts of stock or donations via wire? Yes, please contact the Nexleaf office directly at (213) 915-6729 or info@nexleaf.org for more information. How can I support Nexleaf through my employer’s matching gift or giving program? Check with your employer if you have a matching gift or workplace giving program. Please contact the Nexleaf office directly at (213) 915-6729 or info@nexleaf.org if you need support to enroll in your company’s program. Join our diverse team of passionate public health and technology professionals to help solve global public health and environmental problems. At Nexleaf, we value collaboration, resourcefulness, and creativity in devising innovative solutions and strive to foster a positive and meaningful workplace culture. To apply, please find instructions for each position by following the links above. For general inquiries, please email info@nexleaf.org or call +1 213-915-6729. Nexleaf Analytics is headquartered at 1964 Westwood Blvd, Suite 410, Los Angeles CA USA 90025.